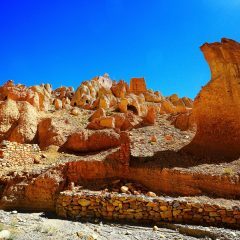 There are many interesting places to visit near Lhasa and Lhasa valley. 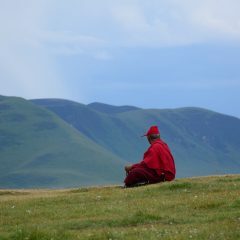 Many of them are within 30 – 100 km away from Lhasa. 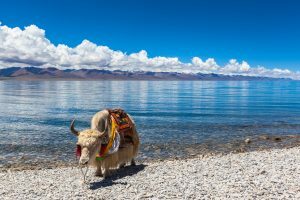 All of these destinations can make a perfect day trip from the Tibetan capital. 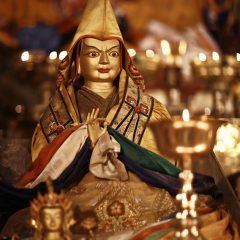 The Ganden Monastery was built in the 15th century by Lama Tsongkhapa who established the Gelug or Yellow Hat sect of Tibetan Buddhism. 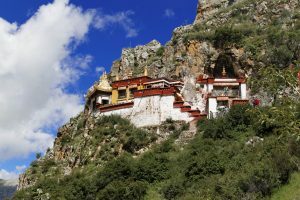 The monastery is located about 40 km away from Lhasa on top of a mountain overlooking gorgeous valleys. 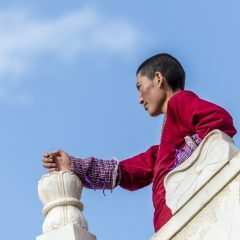 You can spend a great day outdoors visiting the monastery and walking the high kora (circumambulation) around the monastery. Drak Yerpa heritage is a complex of monastery and meditation caves on a slope of a mountain. There is a path going up the mountain connecting different structures of the Hermitage. The mountain in front of Drak Yerpa was earlier used for sky burials. Nowadays you can visit it to get a great view of the monastery and the valley around it. 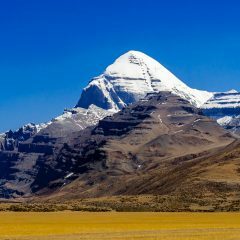 It is located approximately 15 km away from Lhasa and it takes about 30 minutes to get there. 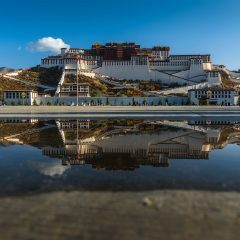 It can make a great day trip from Lhasa. 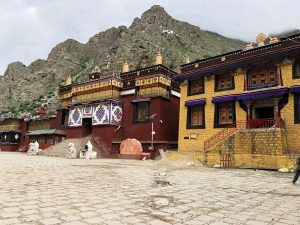 You can also combine the visit to Drak Yerpa in the morning with Ganden monastery in the afternoon. 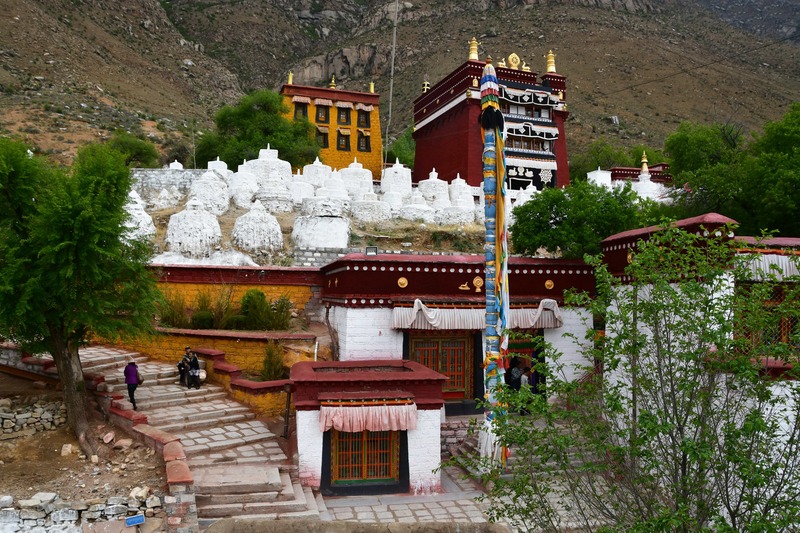 Pabonka Hermitage is one of the oldest religious sites in the Lhasa region. King Songtsen Gonpo had meditated there before the construction of Jokhang Temple in Lhasa. 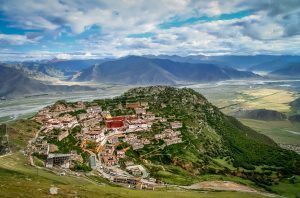 From the monastery, you can get a great view of Lhasa city and Potala Palace. There is a meditation cave inside the monastery, where you can spend some quiet moments. Nowadays it belongs to Sera Monastery. 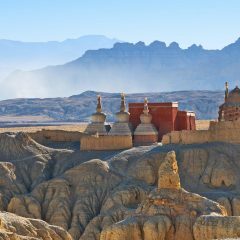 Visiting Pabonka can make a great day trip near Lhasa. 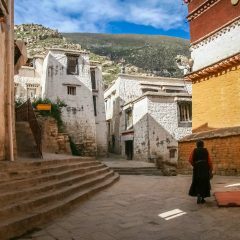 Combine it with visiting Sera monastery in the afternoon or visit one of the many smaller monasteries around Sera. Tsurpu is the seat of Karmapa, the head of the Black Hat Sect of Tibetan Buddhism (Kagyu). Karmapa is one of the most influential lamas in Tibet. 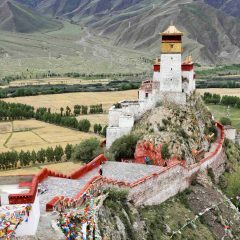 It is located 1-1.5 hours of driving away from Lhasa in a beautiful valley. The monastery was seriously damaged and nowadays it is undergoing reconstruction. Nevertheless, it is one of the most important monasteries in the Lhasa region and it attracts many visitors. 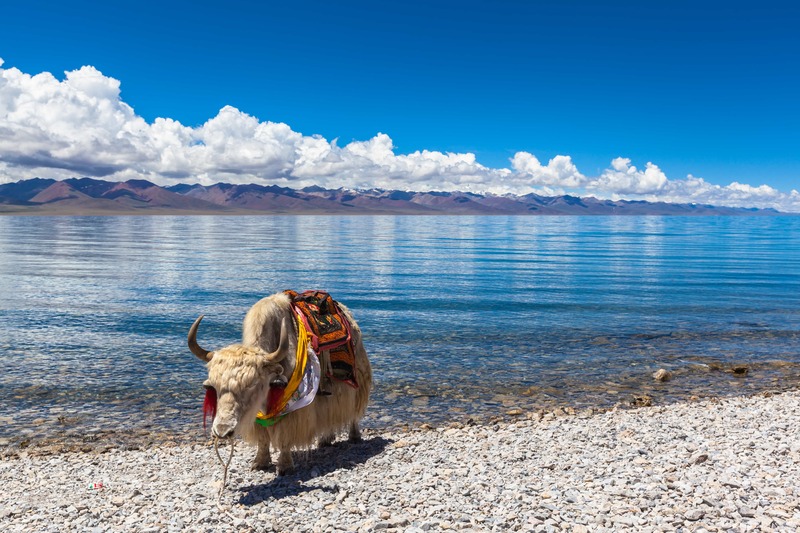 Namtso is the Tibet’s largest saltwater lake, and at 4718m, also one of the highest lake in Tibet. 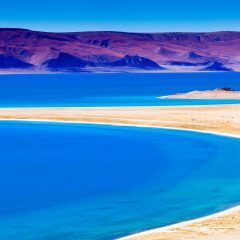 The lake is over 70km long, reaches a width of 30km and is 35m at its deepest point.